A former Australian wing and professional rugby union player, Nick Cummins has an impressive track record both locally and on the international scene. He played for both the Western Force and Coca-Cola Red Sparks in Super Rugby and Japanese Top League respectively. He also made his country proud internationally, playing as part of the Australian Sevens, as well as the Australian rugby team. Beyond his glittering sports resume, Nick Cummins is also a television anchor and has appeared on reality TV – The Bachelor Australia. He starred on the Network Ten show in the sixth season where he courted 28 women. More details about Nick below. The Australian Rugby player was born on 5th October 1987 in Port Macquarie, New South Wales. Born to Mark Cummins, father, and Debbie Cummins, mother, Cummings grew up in Logan City in Brisbane’s south with his seven siblings. He studied at St Francis’ College in Crestmead and took part in several sports but settled on the rugby field for his professional career. A Queenslander, Cummins represented his state at the 2005 Australian Schools Rugby Championships in Canberra. He then relocated to Sydney the next year and joined the Randwick rugby club where he played for their grand final-winning Colts the same year. After his stint with Randwick, Nick Cummins became the top try scorer for the Australian Sevens squad at the IRB Sevens World Series after he was selected to join the side in 2007. The same year, he sealed a two-year contract with Western Force, a Perth-based professional rugby union club. He debuted in the Super Rugby for the team in 2008, appearing in a match against the Sharks in Durban. 2010 was a year filled with achievements for the wing player who, in addition to being picked for the Australian Barbarians, playing two home matches against England, he was also selected as part of the Australian 28-man squad which went to South Africa for the 2010 Tri-Nations series. Also in 2010, Nick Cummins and his Australian team took the silver medal at Commonwealth Games Sevens tournament in Delhi. He was part of the 2012 Australian Squad selected for the inaugural Rugby Championship. His Test debut came on October 6th in the Wallabies 25–19 win over Argentina in Rosario. In 2014, Nick Cummins made his move to Japan after his early release from his Western Force and Australian Rugby Union contracts. Worthy of note is the fact that there are no hard feelings on his release which was on compassionate grounds following some health concerns in his family. In Japan, he secured a fresh contract with Coca-Cola Red Sparks. In 2016, he appeared as a non-scoring substitute for Norwegian side – Stavanger RK. The team won the amateur Norwegian Rugby Union Championship that year. So far, there is no credible information on the actual figure Nick has been able to gather since his career took off. However, rumour has it that he is worth about $700 thousand but the information does not hold much water. 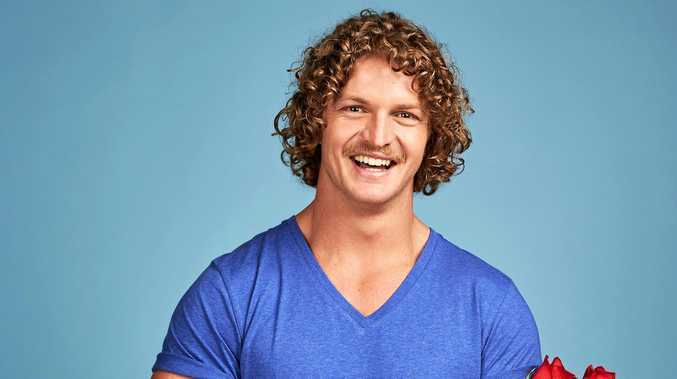 He ditched the last two finalists on The Bachelor on the grounds that he wasn’t in a good place in his life to start a long-term relationship but it seems Cummins has found the one. After the series came to an end, news emerged that the rugby star is dating chicken heiress Lucy Steggles. The two who have been friends for years, they reportedly started dating after walking the Kokoda Trail together. Nevertheless, Nick Cummins is yet to get married to Lucy or anyone else. 1. He was raised by a single dad alongside his seven siblings. 2. In school, Cummins added the swimming pool and athletics track to his rugby field exploits. 3. He played alongside Bernard Foley and Nick Phipps for the Australian side that won a Silver Medal at the 2010 Commonwealth Games held in Delhi. 4. He is often addressed by the nickname “The Honey Badger” which he got for drawing inspiration from the fierce nature of the animal of the same name. He attempts to think like the animal in defence. 5. Cummins has featured in ad campaigns including as the face of Tradie underwear and workwear for men in August 2015, Head & Shoulders ads in 2014 and beer company Iron Jack in late 2017. 6. Documentary series and National Geographic program known as Meanwhile In Australia has Nick Cummins as the host. The program allows him to tour around Australia for new stories on people and places. 7. The Honey Badger measures 189 cm (6 ft 2 in) in height and weighs as much as 99 kg (15 st 8 lb; 218 lb) in body mass.